Ghent, Belgium – RPC Group, one of the world’s leading suppliers of rigid plastics packaging, is choosing Clear PP for certain of its products to help it achieve both the high clarity packaging desired by consumers and the highest sustainability targets. The majority of RPC’s thermoformed, blow moulded and thin walled injection moulded food-related applications are made with polypropylene (PP) because of the material’s unique combination of physical properties, high clarity option (where clarity is a key requirement), cost efficiency and sustainability benefits. High clarity PP enables a new level of brilliance and transparency for plastic packaging. The highly appealing aesthetics achieved through the addition of Milliken’s Millad® NX™ 8000 advanced clarifying agent, are supported by a host of performance and sustainability benefits that add to PP’s overall viability and attractiveness, particularly in light of increasing environmental awareness and tightening packaging regulations. PP’s low density creates lightweight finished products with a low carbon footprint. Low greenhouse gas (CO2) emissions during production of the raw PP are continued into the product manufacturing stage and beyond. Millad NX 8000 enables the processing of PP at lower temperatures, which leads to a reduction in energy usage, shorter cooling times and a lower carbon footprint, with the possibility of faster cycle times for higher productivity. 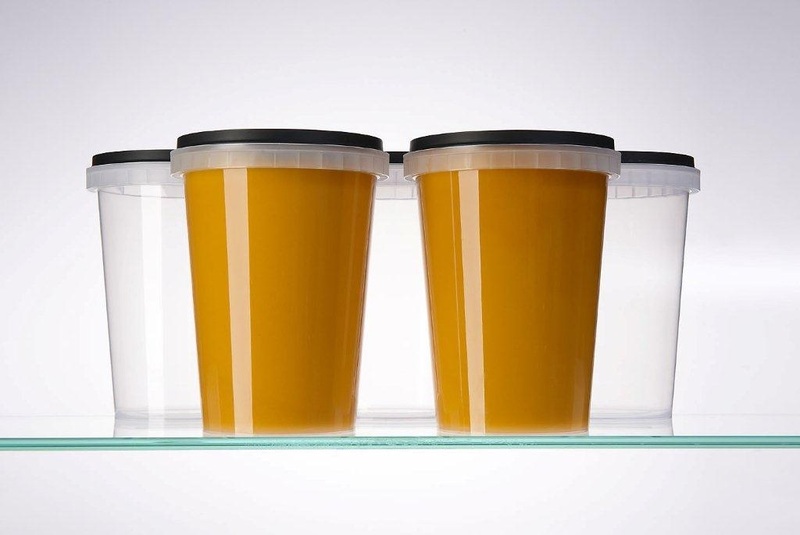 Furthermore, Clear PP ensures good impact protection and barrier protection for finished packaging that help to extend the shelf-life of products and prevent food waste by protecting produce from “plot to plate”. Strong, yet lightweight packaging is easier to handle and transport, lowering vehicle weight and overall energy consumption. These advantages make Clear PP a contributor to RPC’s Sustainability Matters Program – its in-house commitment to energy and waste reduction, and increased recycling. Packaging based on Clear PP is highly suitable for recycling, in particular into non-food applications. This is a key focus area for RPC, which has been working with AkzoNobel on the use of post consumer recycled (PCR) material in their Dulux brand PP paint containers, at an inclusion rate of 25%. RPC is also part of the WRAP initiative, which is working in partnership with industry to develop a viable process to recycle post consumer PP packaging waste into recycled PP (rPP) suitable for use in the manufacture of new food packaging.